"When the night falls, the tango is revealed in its most authentic and pure form. 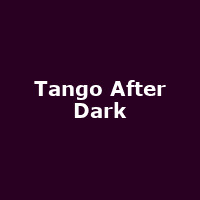 Tango after Dark is an intimate and sensual performance with exquisitely danced choreography to the wonderful rhythms of the great Astor Piazzolla. Tango superstar German Cornejo leads his superb dance company of 10 world-class Argentinean dancers in this mesmerising new show. Accompanied by two sensational singers and seven musicians playing tango classics, this is an unforgettable evening that will keep your passion for tango burning deep into the night."